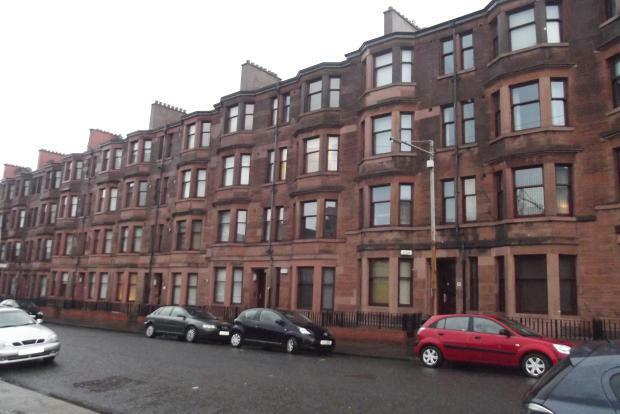 1 Bedroom Flat To Rent in Glasgow for £500 per Calendar Month. Pristine, pretty and perfectly formed, just a few minutes from the city centre. This beautiful property has a huge amount to offer with excellent internal condition, carpets throughout, gas central heating, brand new furniture and a fantastic location giving you the very best value for money. Aitken Street is close to all transport links to the city centre with regular buses and trains taking just a few minutes, and for commuters the M8 motorway is just a short drive away. The Forge shopping centre is just down the road and the beautiful Alexandra Park is a stones throw away. Local amenities are therefore not hard to come by and a great selection of cafes, bars, and restaurants, not to mention a massive variety of retail stores, a huge supermarket and a cinema are within easy reach. Use your fob to enter the fully refurbished, clean and well maintained close and proceed to the second floor where this wee jewel is situated. Inside, a welcoming carpeted reception hallway with storage cupboard separates the living and sleeping areas. Straight on is your lounge, warm and inviting with pristine neutral decor and furnished with table and chairs, and a new sofa. Aitken Street is great for the view from your bay window with no tenements looking in, and you have an open outlook to the magnificent former school school building which will one day be restored to its former glory. Next door, the kitchen has been scrubbed from top to bottom and a brand new washing machine and fridge freezer added. Plenty of work and storage space in the fitted cupboards and worktops give you the absolute best use of the space available. Back through the reception hallway, pass the generously sized bathroom with white three piece suite and come into the bedroom, bright, spacious and furnished to a high standard with double bed and neutral decor. A separate area for the recently fitted boiler lets in more light and provides a great small space for drying clothes or storing those extra odds and ends. All in all, this is a perfect property for a huge variety of tenants, and quality like this is hard to find for this kind of price. This one will be snapped up quickly so don't delay, call today, and get the keys to your new home as soon as possible.